Think the only way to eat beans is out of a can? I used to. I just didn't want the hassle of soaking beans overnight then cooking them for several hours. Then a friend of mine shared with me the way she cooked her beans. I was hooked! She put her beans in a crockpot in the morning with plenty of water and whatever seasonings she had around: Onions, Garlic, Salt, Pepper, etc. She turned the crockpot on high and let it go all day. She'd occasionally check to see if it needed more water. By dinnertime, she had perfect beans. She used what she needed in her dinner recipe then froze the extras in Ziploc bags for later use. But it's even easier than that! Several years later, I found a magnificent tool that allowed me to go from dry beans to the dinner table in less than an hour! I was hooked all over again. Now before you fill your head with visions of exploding metallic shards—pressure cookers have come a LONG way! They are safe, easy to use and make cooking healthy amazingly convenient! Not only that, but they're designed to force all of the nutritional value (that is usually lost in steaming) back into your food. Just follow the directions. You can do it, and you can prepare fabulous whole grains and delicious beans in no time! 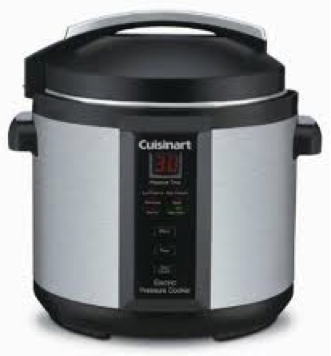 The Electric Pressure Cookers that are on the market are so slick—they make life sooo easy and are a breeze to use! Or the "new old-fashioned" stove-top cooker. 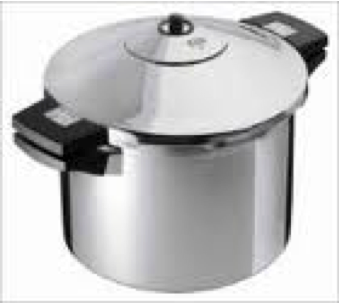 I am now using my stove-top cookers after becoming comfortable with pressure-cooking on a smaller, electric version. Give it a try! You won't be disappointed.